I was determined over the last 2 weekends to dust off my sewing machine and see if it still worked. I'm happy to say that it does. So, I have seen this quilt wall hanging created with the full size AccuQuilt go tumbler dies. I recently purchased the small tumbler die and wanted to try my hand at a tumbler Red White and Blue wall hanging. 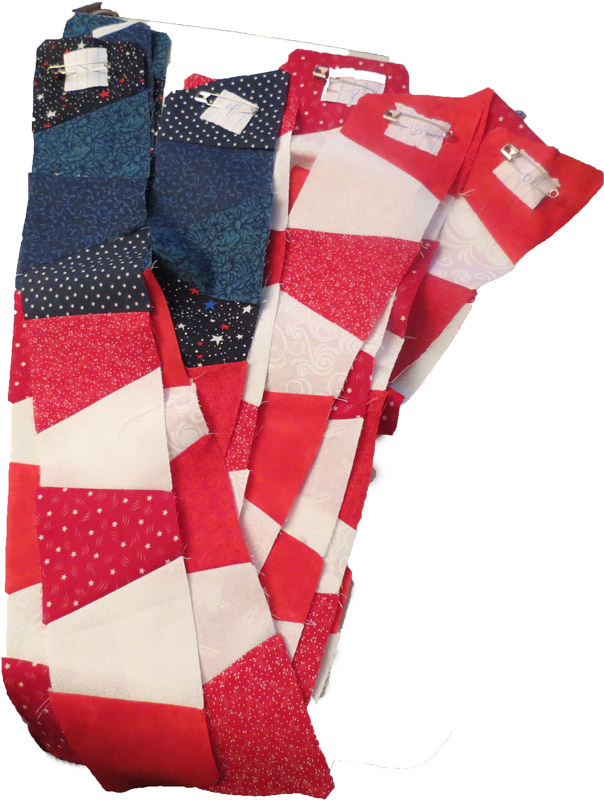 I cut out the tumbler dies using my AccuQuilt go machine. I cut 16 blue tumbler dies and host of random red and white tumbler dies. I laid out the draft sewing order. Then I got moving on sewing the vertical strips in careful order. 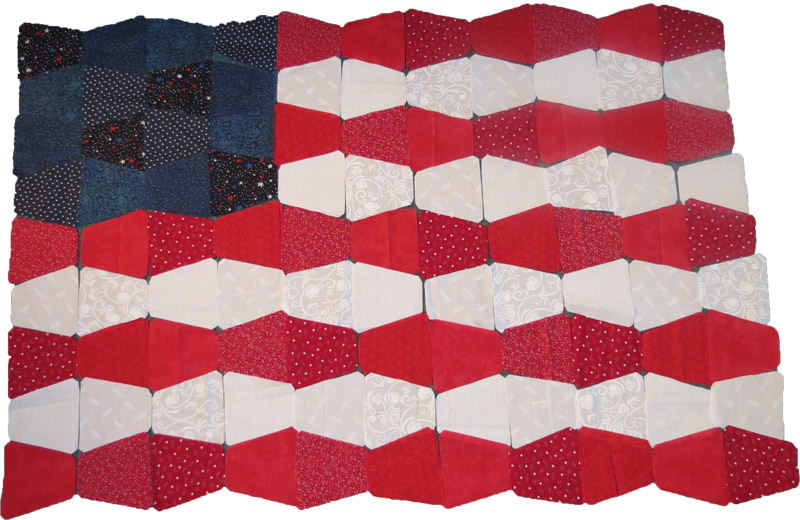 From there, I sewed the strips together to create my flag flimsy. Next step to pick out a backing and get it quilted. Be sure and come back and see the final wall hanging. I'm not sure if I'm going to leave the edges wavy or not.. decisions, decisions. Hi! This is so nice, what about a row of white tumblers along top and bottom, then cut off into straight edge? 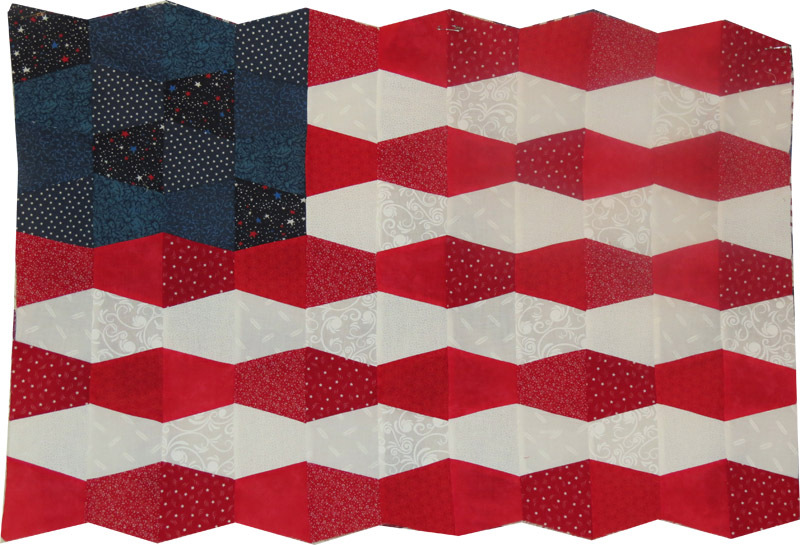 I like the wavy edges, like the flag is waving!